The Nimble iPhone app makes it easy to sync your mobile address book to Nimble. 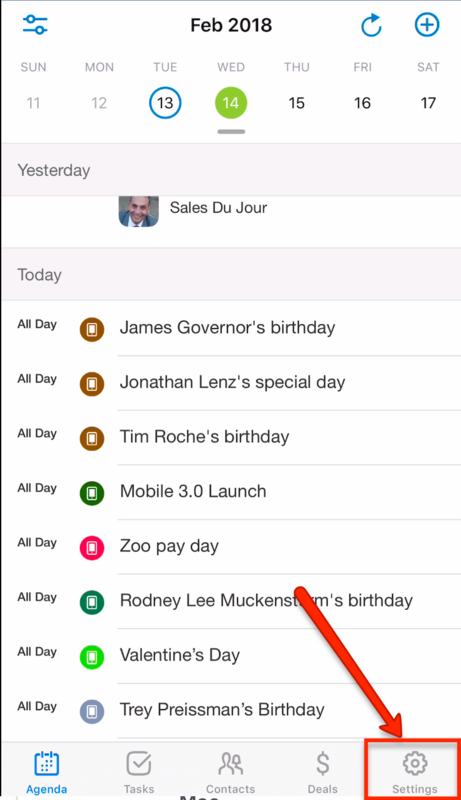 Choose to sync specific contact groups from your address book, or sync them all. Step 2 - From Settings, select "Contacts" to select your sync methods and groups. Sync Now - Perform a manual sync of your address book contacts. For first-time imports, this will import all contacts and merge with existing Nimble contacts based on name and email. 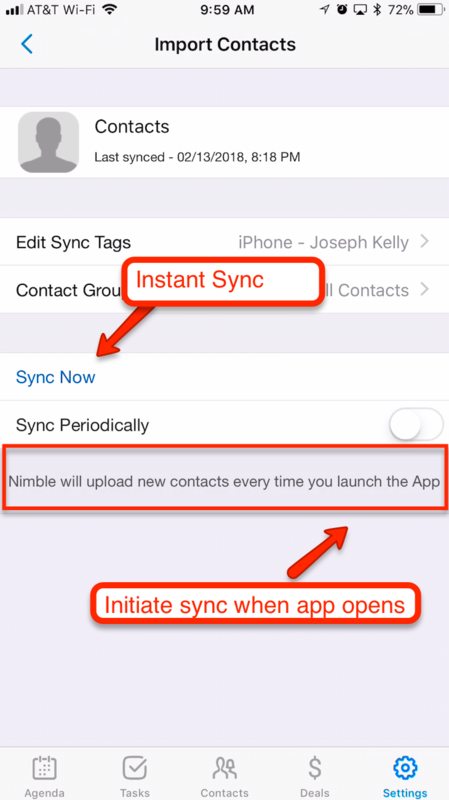 Sync Periodically - Enable this option to have Nimble automatically check your address book for new contacts whenever you open the Nimble app. 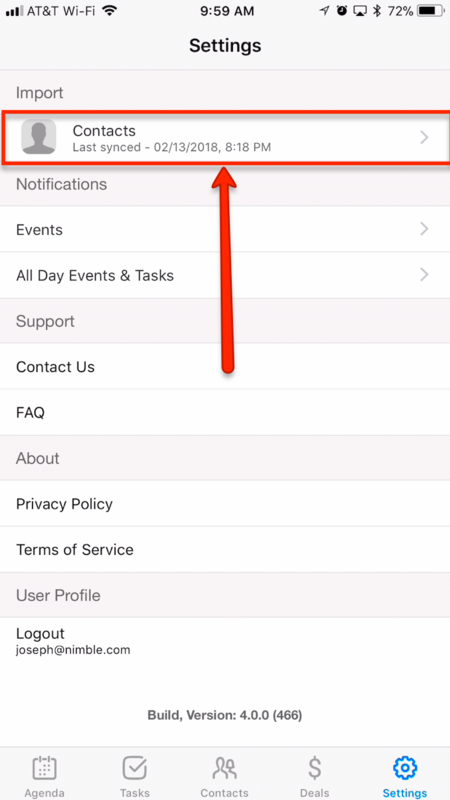 For mobile sync, you can also apply specific tags in the app settings to make it easier to identify these contacts from the Nimble Web App or the Contact list in the mobile app. You can either sync into an existing tagged group of contacts or create a new tag. Add the tag name or search for an existing tag. Select "Add Tag" and that's it!